Sony rarely sells its products on the cheap side, but from time to time, the Japanese company offers consumers the chance to score decent deals. Just like the sale that Amazon is currently running on a pair of Sony noise-canceling wireless headphones, which are discounted by exactly $52. 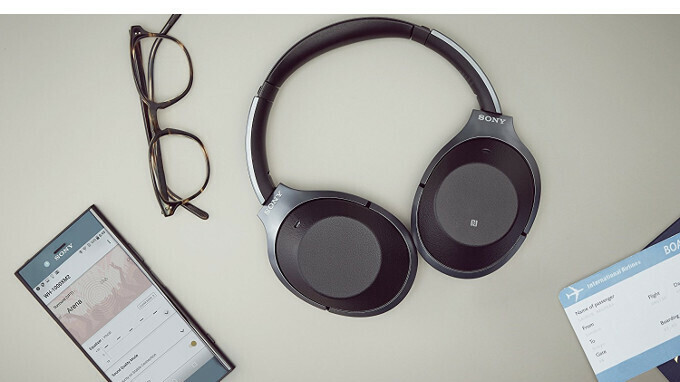 Usually available for purchase for $350, the Sony WH1000XM2 wireless Bluetooth over ear headphones can be had for just $298. The deal is available for both black and gold versions of the headphones in case you wonder, and you'll also get a carrying case and adapter for airplane travel. These may be some of the best digital noise-canceling headphones that you can get for less than $300. They are fully compatible with Android and iOS devices and can be used both wired and wireless since they come with a special cable in the retail box. Furthermore, the Sony WH1000XM2 headphones can be used to activate the phone voice assistant with a simple touch on the right ear cup. It's also got a quick attention mode, which allows users to place their hands on the right ear cup to turn the volume down for instant conversations. These are phenomenal headphones for those in the market for a wireless noise cancelling pair. Really as good as (if not better than) the Bose QC35's. On sale, a must have. Bose does not even support AptX, LDAC or even AAC - so sure, Sonys are way better in terms of sound clarity and latency. Got these in the UK for £285 in mid February and I absolutely love it! Had to choose between the Bose QC 35 II and after testing them I couldn't pick them apart by quality of sound alone so chose the wh1000x mark 2 for features set which is absolutely unmatched in the market at the moment.